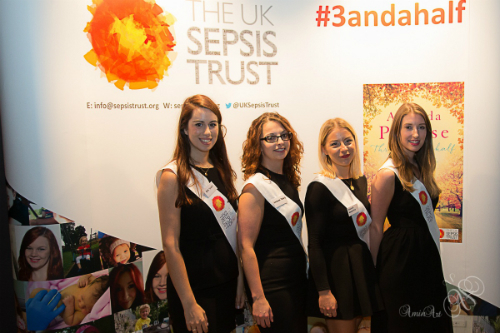 On 10 September 2015 my colleagues Hannah Travis, Jessica Bowditch, Victoria Sedgwick and I were honoured to help the UK Sepsis Trust with their book launch for Three and a Half Heartbeats. 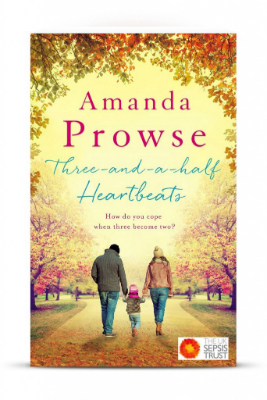 The novel, written by bestselling author Amanda Prowse, is about how a family tries to cope with the sudden loss of their child to sepsis – a condition they have never heard of. However this is not just a story, but reality for many families in the UK. Someone dies of sepsis every three and a half seconds. I first became involved with the UK Sepsis Trust over a year ago. As a medical negligence solicitor I had investigated a number of cases, on behalf of both adults and babies, where patients had suffered poor care for sepsis. In all but one of these cases, the patients died. It shocked me how little was known about this condition, despite it being a huge killer. In the UK there are an estimated 102,000 cases of severe sepsis every year1. Sepsis kills approximately 37,000 people every year2. It is one of the biggest direct causes of death in pregnancy in the UK. This is a staggering number. Sepsis kills more patients every year than breast, bowel and prostate cancer combined. What is perhaps most frustrating is that it is very easily treated, and if caught early, patients can go on to make a full recovery. So if it’s such a dangerous condition, why do we know so little about it? If it’s so easily treatable, why are doctors not doing this? This is the problem. It’s impossible to improve care for a condition that we know so little about and forget to consider. As a charity, the UK Sepsis Trust aims to educate doctors and the general public about sepsis and improve care by raising awareness. In December I wrote a blog, in collaboration with Dr Ron Daniels, a Consultant in Critical Care and Anaesthesia and Chief Executive of the UK Sepsis Trust, which considers the signs of sepsis and where negligence can occur. We were overwhelmed by the response to this blog, and the number of patients who contacted us with harrowing stories of how their sepsis was missed and led to catastrophic injuries. In May 2015, Jason Watkins won a BAFTA for his portrayal of Christopher Jeffries in The Lost Honour Of Christopher Jefferies. He dedicated the award to his daughter, Maude, who tragically passed away on New Year’s Day in 2011 to sepsis. Jason attended the Three and a Half Heartbeats book launch and spoke about the devastation of losing his daughter. He explained that Maude’s symptoms had started as if she had the flu but quickly deteriorated. He said that despite all the doctors following the procedures correctly – sepsis was never suspected or treated. This was the problem, he said. When everyone follows the procedures and sepsis still goes unnoticed and untreated and leads to death, we need to change the procedures. Education and awareness are the first steps in improving care. This can save approximately 12,500 lives a year. 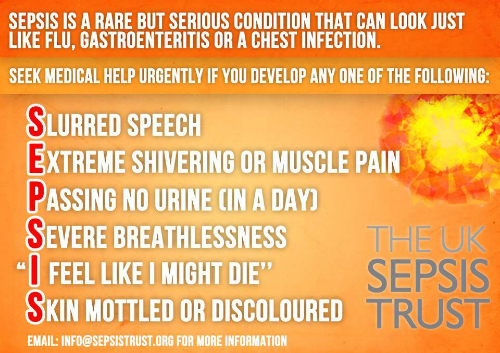 If you have any symptoms of sepsis, you should seek urgent medical help. The key to saving lives is early recognition. Treatment will depend on how severe your condition is but is likely to include oxygen, fluids and antibiotics. If diagnosed and treated in the first hour, patients have an 80% chance of surviving. After the sixth hour, patients only have a 30% survival rate3 . For survivors, the earlier the condition is caught and treated, the better the long-term outcome. The outcome of sepsis will depend on how severe it was and on the fitness of the patient prior to their illness. It can often takes up to 18 months before sepsis survivors start to feel like their normal self. Every hour, approximately 40 people die from sepsis worldwide. Each day, it claims around 1,000 lives. In the developing world, sepsis accounts for 60-80% of childhood deaths every year, killing more than 6 million newborns and children yearly. It is also responsible for more than 100,000 cases of maternal sepsis – sepsis acquired by the mother whilst pregnant. Improving awareness and care for sepsis can save the NHS £170 million a year5. The longer sepsis is left undiagnosed and untreated, the worse it gets. The more the patient deteriorates, the more bed-time and hospital resources they will need, such as equipment and medication cost money. You can support the UK Sepsis Trust by buying Amanda Prowse’s book Three and a Half Heartbeats. If you’ve read the book, please leave a review on Amazon as this will help to promote it. You can raise awareness for Three and a Half Heartbeats on social media using the #3andahalf hashtag. You can also donate, volunteer or fundraise for the UK Sepsis Trust. This will go towards developing education and training programmes for healthcare professionals, resources for raising awareness amongst the public, facilities to provide support for those affected by sepsis and organising effective political lobbying. As a medical negligence lawyer, I have investigated sepsis claims for both adults and children. Unfortunately, a lack of awareness can sometimes to lead poor medical treatment which can have a devastating impact on the patient’s life. If you or a loved one has suffered negligence, we may be able to assist you with a claim for compensation for medical negligence. We can provide both legal advice and access to practical support services to help you cope physically and emotionally. The most common type of claim for relates to a delay in the diagnosis of sepsis – when the condition is mistaken for something else. When this is done, crucial time is lost and the patient’s condition deteriorates. This can lead to shattering injuries which could have been prevented with appropriate care. A claim can also be brought if sepsis is identified but not appropriately treated, and causes the patient further injuries. Both a delay in diagnosis and failure to treat can lead to the sepsis worsening and a risk of septic shock, organ failure or death. Independent expert evidence is used to support a legal claim for compensation, and a barrister is also often instructed for further legal expertise. The purpose of a legal claim is compensation. This is not an apology ‘award’ to the patient. The sum of money is intended to put the patient back in the position they would have been in had the negligence not occurred, as much as it can. Compensation is awarded for both pain and suffering and financial losses caused by negligence. For example, if there was an unacceptable failure to diagnose sepsis, and this meant that you suffered septic shock and were unable to work for two months, we would seek to recover your loss of earnings from those two months. If an unacceptable failure to treat sepsis meant that you suffered permanent hair loss, we would seek to obtain compensation for this injury. I am a medical negligence Senior Solicitor at Bolt Burdon Kemp with experience of claims involving surgical errors. If you or a loved one are concerned about the treatment you have received, contact me, Ipek Tugcu, free of charge and in confidence on 020 7288 4849 or at ipektugcu@boltburdonkemp.co.uk for specialist legal advice. Alternatively, you can complete this form and one of the solicitors in the Medical Negligence team will contact you. Find out more about the team.